Over the last few months or so, we’ve seen dozens of announcements about Super Smash Bros Ultimate. There have been reveals for every main newcomer, as well as the first DLC one. There have been talks about features and stages, with the entire last Direct being about 90% discussion of these things and how they’ve been changed about. And well, we even seem to know how Nintendo’s DLC plans are panning out, with Sakurai stating that all characters meant for the expansion packs have already been decided by him and Nintendo. It’s quite the information blow out, and builds up quite the hype storm for this heavily anticipated title. But it ain’t over yet, and thanks to various influencers and gamers who’ve played the game in recent days, the details are just keeping on coming. 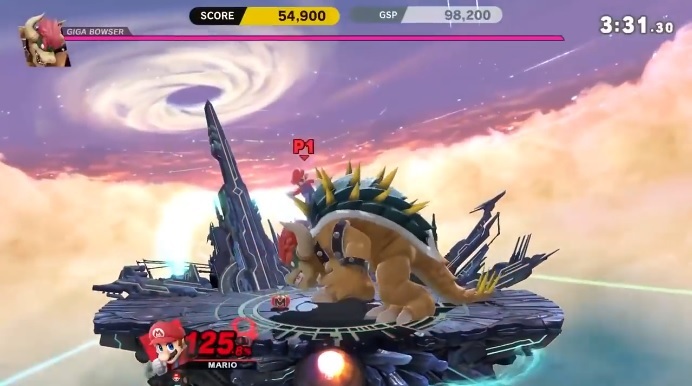 Like with Classic Mode, where we now have more footage showing features and changes for it. One of which is a move away from the map based progression system found in the previous game. 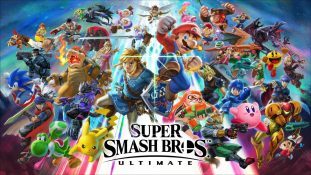 Indeed, unlike the 3DS and Wii U titles, Smash Bros Ultimate’s Classic Mode is very much a linear affair, with each stage being played one after another with few breaks. That’s arguably a little bit of a step back there (since the choice aspect is gone overall), but it’s not a change that really hurts the mode none the less, and the presence of World of Light means those looking for their map ‘fix’ have something a million times better to play around with. Talking of World of Light, that brings us to something else that’s changed here too. Basically, you know those boss battles from said mode? Like Rathalos, Galleom, (likely) Dracula etc? Whereas Duck Hunt apparently goes up against Rathalos from Monster Hunter and ROB faces off against Galleom. It’s a neat change that really adds a ton of replay value to the mode, and makes things a whole lot more interesting (and personal) than it’d be if everyone fought Master Hand and Crazy Hand again. Fighters also seem to get unique titles for Classic Mode too. These titles refer to their role in their original franchises, and add another bit of flavour to set up overall. Like how Ganondorf’s one is ‘The Beginning of the End’ or how Donkey Kong’s is ‘Journey to New Donk City’. This also implies the final stage won’t always be Final Destination either, since Journey to New Donk City would only really seem fitting if New Donk City Hall was the last arena for DK, and the likes of Dracula would probably work better in his castle instead. Again, a nice bit of extra variety, and something that’ll keep the mode fresh overall. Race to the Finish also appears to make a comeback too. This time it’s got pyroclastic flow chasing you rather than a mere timer, with the longer paths having more challenges to overcome but better rewards if you succeed. Still, if you’re not a fan of Classic Mode, then it seems like playing it may not be essential to unlocking the characters here. Indeed, despite starting with 8 characters and working your way up to 74 in total. it seems like the process should take only take a matter of hours not days. It’s good news for tournament players and multiplayer fans (as well as those whose favourites are some of the last to be unlocked overall), but a tiny bit disappointing for single player gamers looking for more unlocks to keep the non Vs mode stuff going. And these videos have shown some interesting new Spirit matches present there. For example, there’s now a team of Wario’s ‘possessed’ by the Excitebike biker, who continually spam their side B (Wario Bike) attack as a reference. Or another set that continually charge about, due to being possessed by Chargin’ Chucks. Again, pretty neat, and a nice few references to other Nintendo classics too. And the extra Spirits shown here. Another fine reference to the Wario Land series from Super Smash Bros Ultimate! 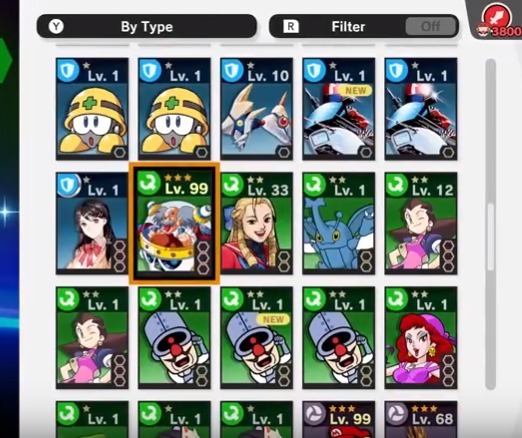 That last one is (again) especially good for those Wario fans out there, since it confirms that Captain Syrup appears as a Spirit too (alongside the likes of Count Cannoli, Princess Shokora and the Shake King). It’s an impressive amount of shout outs given the lack of attention paid to the Wario Land series prior to now, and gives hope that Sakurai’s finally realised that Wario isn’t just a farting biker who makes microgames now and again. So yeah, those are some of the extra details and reveals from the last few days. What do you think about them? Are you happy to see the new final boss set up for Classic Mode? Pleased to know all the characters in the roster can be unlocked quickly? Tell us what you think in a comment or over on the Gaming Latest forums today!